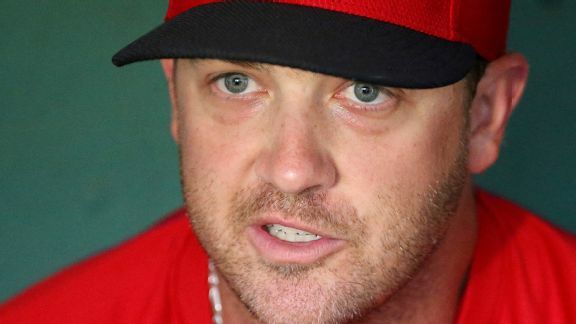 The Red Sox say they're done shopping for hitters after re-signing their first baseman, but if anything it means they're ready to pursue J.D. Martinez. 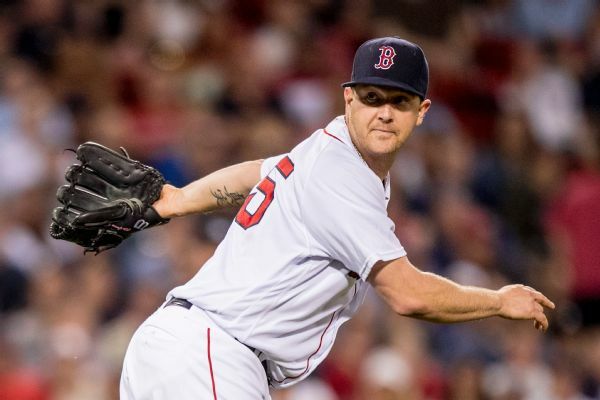 Steven Wright (13-5, 3.01 ERA) will miss at least one start because of inflammation in his right shoulder. 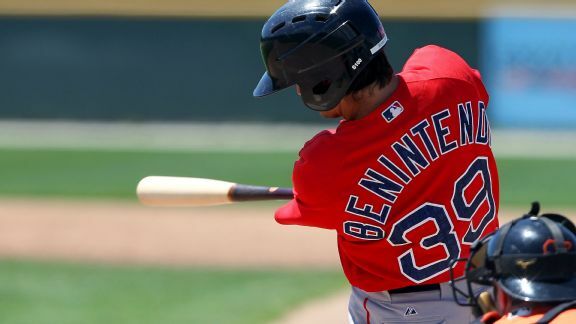 Top prospect Andrew Benintendi will make his first MLB start on Wednesday. 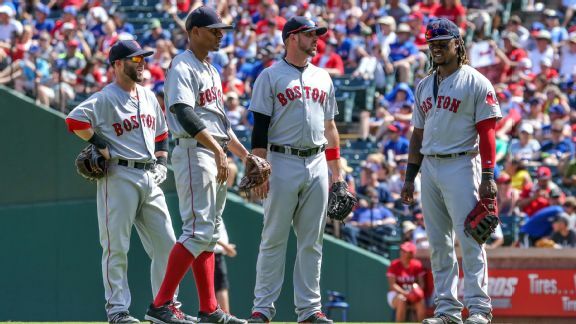 If any Red Sox player knows what Benintendi's feeling, it's Xander Bogaerts. 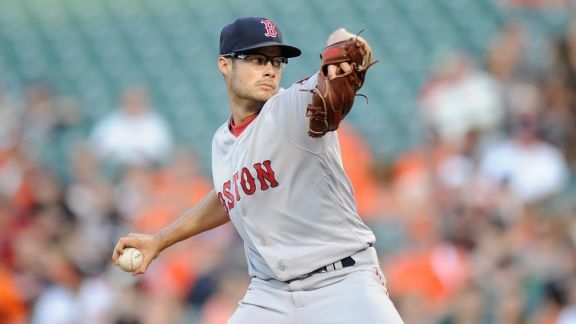 Joe Kelly, who has not pitched in relief in the majors since 2013 with St. Louis, says he's excited to take on a new role for the Sox. 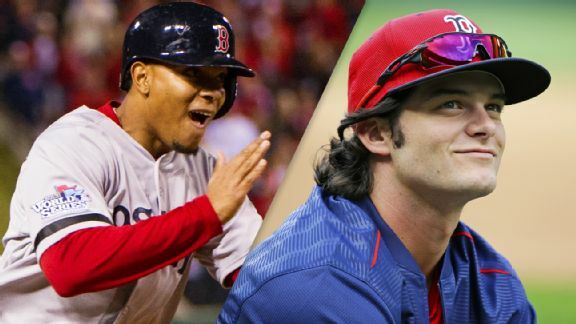 Although no one has committed to when top prospect Andrew Benintendi will make his Red Sox debut, a switch to left field indicates it could come soon. Red Sox executive Dave Dombrowski isn't prioritizing outside help to solidify left field, which could pave the way for promoting Andrew Benintendi. 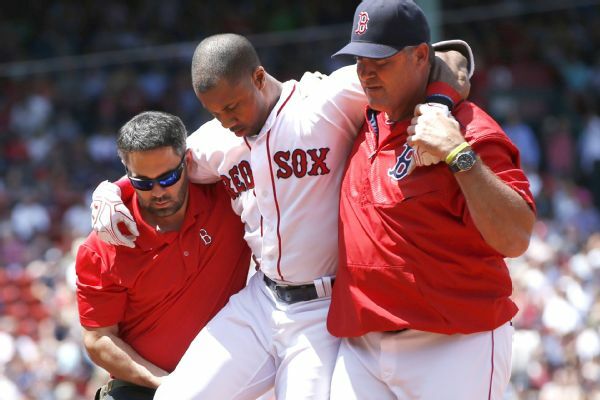 Boston has been hit by injuries, and the pitching is as unreliable as ever. But the front office is not ready to deal its best prospects just yet. 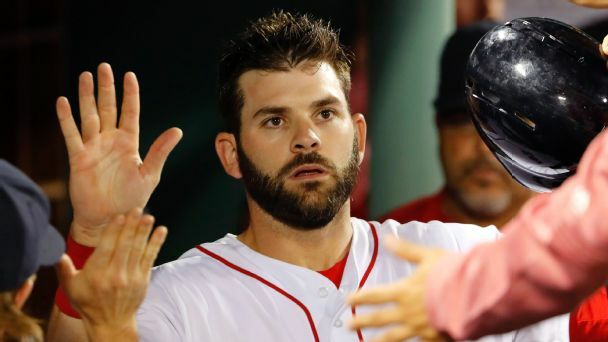 Outfielder Chris Young has been placed on the disabled list by the Red Sox, who recalled Bryce Brentz -- and not top prospect Andrew Benintendi -- from Triple-A Pawtucket.